Young Farmers’ across the UK are helping the nation by taking part in a new blood donation campaign. Members of the National Federation of Young Farmers Clubs (NFYFC) are celebrating the launch of a new partnership to promote blood and organ donation. Seven members from across England met at Luton Donor Centre yesterday (Tuesday April 12) to donate and launch the campaign, spearheaded by National chairman, Chris Manley. Mr Manley launched the campaign as a way of proving that Young Farmers Clubs’ (YFCs) are the ’lifeblood of rural communities’. Mr Manley, in partnership with NHS Blood and Transplant, is challenging Young Farmers from across England and Wales to register as new donors with the aim is to recruit 500 new blood and organ donors in 2016. He said: "Blood and organ donation doesn’t cost the individual anything more than their time but it has the potential to make a huge amount of difference to local communities. YFC News: celebrations, competitions and charity - What have you been up to? "And doing good things like this in the local community will help to put Young Farmers on the map. The creation of 500 new blood and organ donors will go a long way to helping the thousands of patients who rely on these donations. Mr Manley was also inspired to launch the campaign by his sister who has donated blood 18 times. Ian Trenholm, chief executive, NHS Blood and Transplant, said: “We are delighted that Chris has chosen to support and promote blood and organ donation during his year as chairman. "We rely on the generosity of donors and it is vital that more young people sign up to give blood and join the organ donor register. 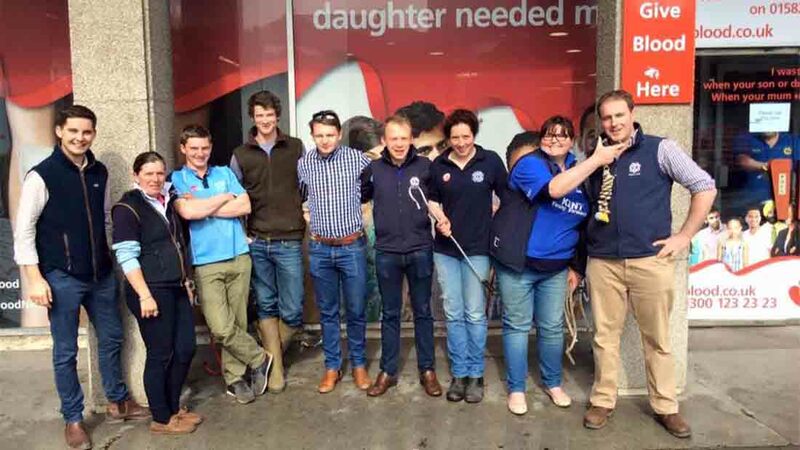 NFYFC is encouraging all Young Farmers over the age of 17 to donate blood. Visit NFYFC's dedicated website to find case studies, details of how to register as a donor. Follow the hashtag #YFCLifeBlood for pictures and messages of support from members who have signed up.